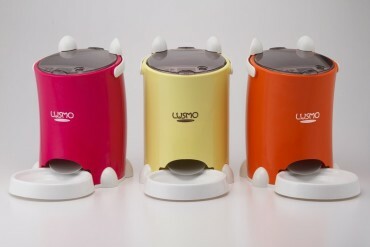 Lusmo Automatic Pet Feeder Review - Cute, But Does it Work? 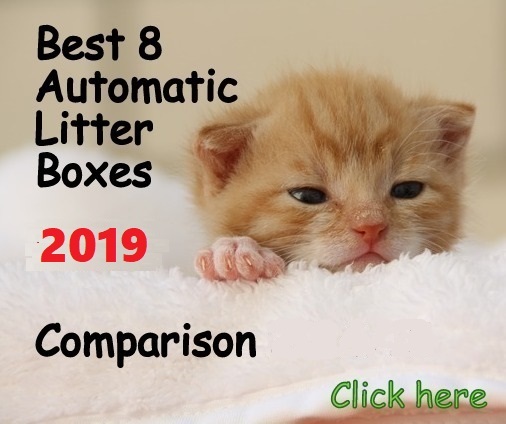 PRODUCT DESCRIPTION (3.6/5) Lusmo automatic pet feeder allows you to feed your cat up to 3 times a day with fully customizable meal times and portions according to your cat’s needs, example, big breakfast, and small dinner. Meal portions can be programmed from a minimum of 1/16 cup (0.5 Oz) up to 1 cup at a time. Portion increments are in 1/16 cup. Once you program the 3 meals for a 24-hour period, this schedule will automatically repeat daily so you don’t have to worry about reprogramming. The convenient location of LCD panel on top of the unit makes it easy to program because you don’t have to squat too low to read and push the buttons. Also, the large and clear LCD panel is easy to read and the programming is simple with 3 buttons. 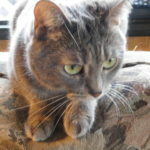 With Lusmo you can trigger a feed manually at any time by pushing a button, which is excellent if you want to feed your cat snacks in between meals or using this function to reward your pet. The hopper capacity is about 2.2 lbs. dry food. 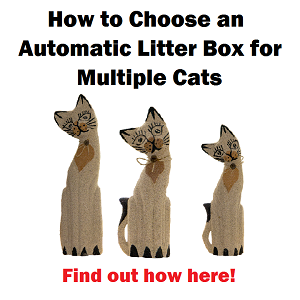 On average the feeder dispenses up 10 days for an adult indoor cat. 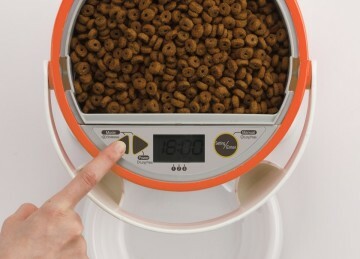 This number will vary a little depending on the kibble shape, size and how much your cat eats. The unit’s top cover will be locked when you push back the cute ear-shaped handle and prevents your cat’s mischief. Portions from a minimum of 1/16cup (0.5 Oz) up to 1 cup (240 cc), with 1/16 cup increments. All internal pieces containing food are removable and hand washable. Protective guard accessory on chute prevents those mischievous paws from stealing food. Cute ear-shaped handle locks the lid when pushed back and allows you to easily carry the feeder. 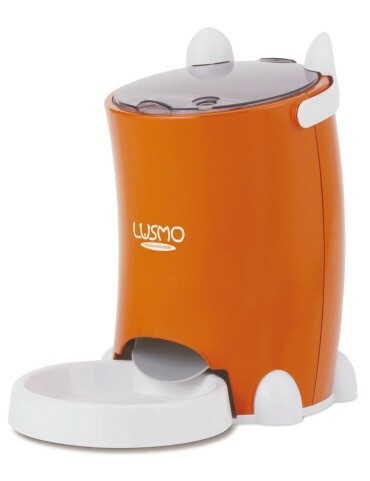 Lusmo’s dispensing system consists of a rotating hard piece of plastic on the bottom of the hopper which dispenses the food from the chambers into the food dish. The hopper is detachable cassette-type and the bowl is also removable. The unit comes with a preset schedule of 3 meals a day. These meals can be programmed individually, at times you choose, according to your cat needs so you don’t have to choose preset meal times. 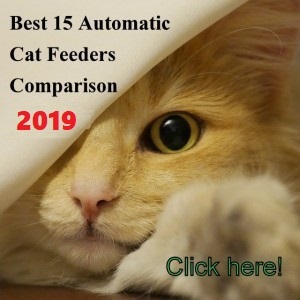 When programming the unit, the settings have a range of feeding portions from F00 to F16, where F00 represents no feeding and this is used when you want to jump one meal and feed your cat 2 times a day, for example. The minimum amount of food you can program is 1/16 cup which is equal to F01. The maximum is 1 cup being equal to F16. The unit dispenses in 1/16 cup increments. Notes: The accuracy of portions will depend on the type of kibble (standard deviation is ± 1.65g. or 0.06 Oz.). Lusmo does not work with kibble longer than 0.6” because the system may jam and stop working. Lusmo features a ON-OFF power switch that you can use if you want to stop the feeder from operating. The feeder will retain the programming when turned OFF. The unit runs only on alkaline batteries and if you use rechargeable batteries the feeder won’t operate. 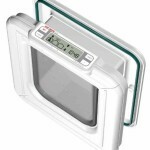 The LCD panel will display a low battery indicator when time to replace them. 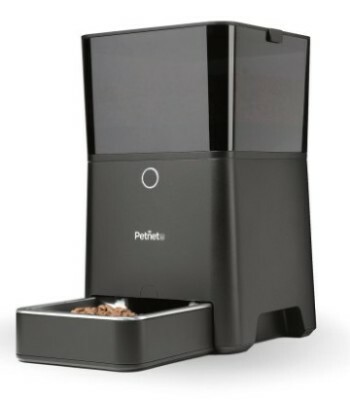 If you are a busy cat owner and want to be alerted on your Smartphone when batteries are low, you can check the Petnet automatic feeder and see if this unit is more suitable for you. 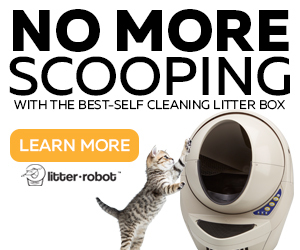 WHAT ARE THE PROS AND CONS OF LUSMO AUTOMATIC PET FEEDER? Individually customizable meal portions, example big breakfast and small dinner. You can choose mealtimes according to your cat needs, with no preset times. A protective guard on the chute prevents cats from sticking their paws inside and trying to steal food. 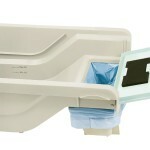 Large and clear LCD panel located on top of the unit for easy access. A very cute ear-shaped handle allows you to easily carry the feeder. ON-OFF switch button to stop the feeder from operating, retaining the program settings. If you want to dispense less than 3 meals a day, you still need to program the 3 meals. Noisy when cats try to steal food poking the protective guard on the chute. Some customers state that batteries don’t last up to 6 months with this feeder. Battery prongs need some bending for the batteries to work. 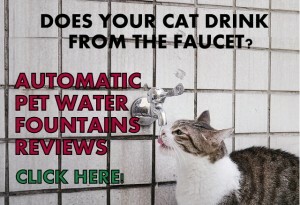 Don’t place the feeder in areas subject to having contact with water, such as the bathroom or kitchen. As Lusmo’s accuracy depends on the kibble size and shape, once you program the portions make sure to measure the food actually fed automatically to confirm the amount. The prongs that hold the batteries may need to be bent up or down to have proper battery conduction. 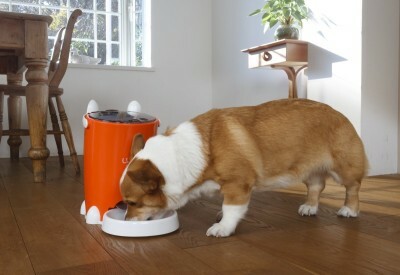 Lusmo automatic pet feeder has been sold in Japan for quite some time and now has been introduced to the US market. 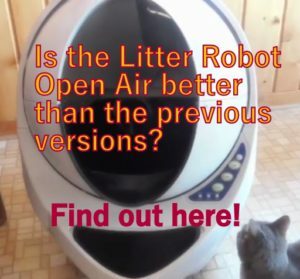 The unit, in general, is well designed and responds to basic programming to feed your pet. The feeder lacks some flexibility when it comes to the amount of meals per day, limiting the schedule to only 3 meals per day. The unit’s feeding schedule is based on repeating the one-day program so you can’t program for different days of the week. My dogs kibble is triangular shaped and is 1/2 inch in size. Will it be able to dispense? Hi lorie, the kibble size you feed your dog is within the size the manufacturer recommends which is smaller than 0.6″ diameter, however using triangular shaped kibble with this feeder I believe could cause the mechanism of Lusmo to jam since it’s a rotating internal plastic that moves the kibble to the chambers inside. 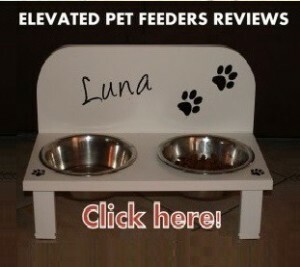 I would suggest you to check my review of the Pet Feedster for Dogs and Cats here.